Carpet wall base with a self-adhesive backing for easy installation. The attractive color of Dusty Gray would look great in any residential or commercial setting. The 100% acrylic adhesive included with this cove carpet covers about 3 inches or 85% of the backing. The carpet cove base is 4 inches in height and is sold by the foot. 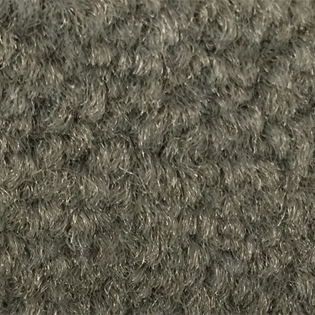 This means you can purchase the cove carpet in the exact linear footage you need. There is a minimum order quantity of 1000 feet. Coveworks carpet wall base is superior to other cove carpet in the industry, made with 30 ounce nylon commercial grade carpet. This provides a better wear fro the carpet cove base. 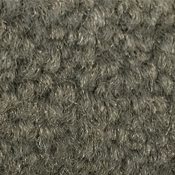 Save installation time with this Dusty Gray carpet cove base! 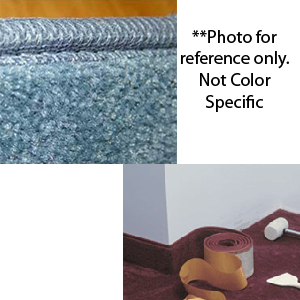 Dusty Gray carpet wall base has simple installation instructions. View PDF photo installation instructions.